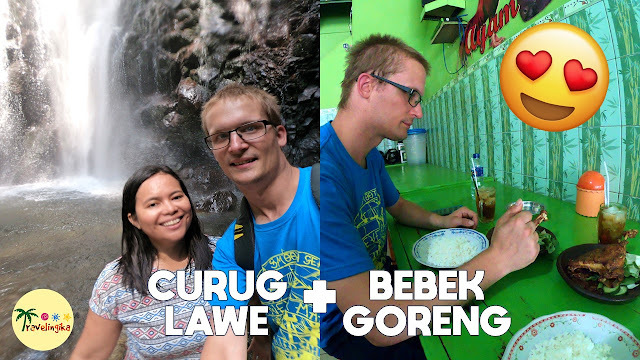 In this video, we visited a waterfall in Ungaran called: Curug Lawe. We had to hike around one hour to get to this waterfall, but it was all WORTH IT!! The waterfall was sooooo gorgeous and we had so much fun being there! Then we decided to eat fried duck (Bebek Goreng) at Bebek Goreng Martin Ungaran. It is the most popular place for eating fried duck. Watch how my German boyfriend ate fried duck with bare hands for the first time!